Very nice and comfortable lounge chair designed by German industrial designed Luigi Colani and manufactured by Kusch & Co, Germany 1968. This is a very rare chair since this was only produced for a few years, not much were made. 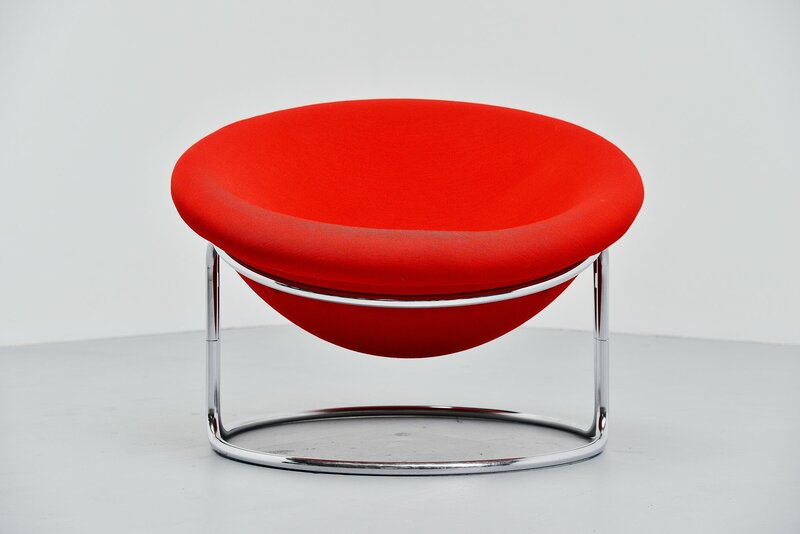 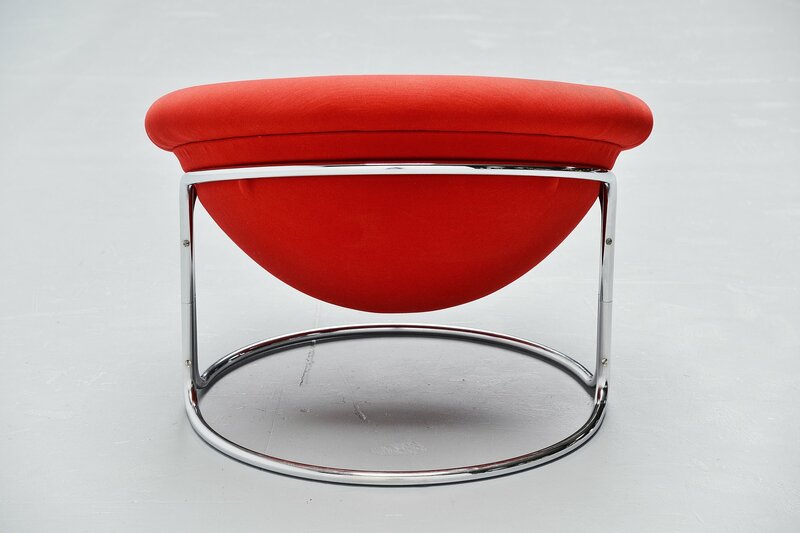 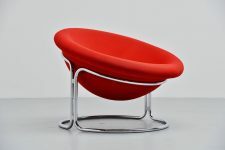 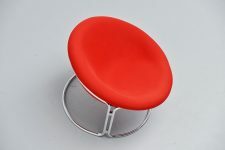 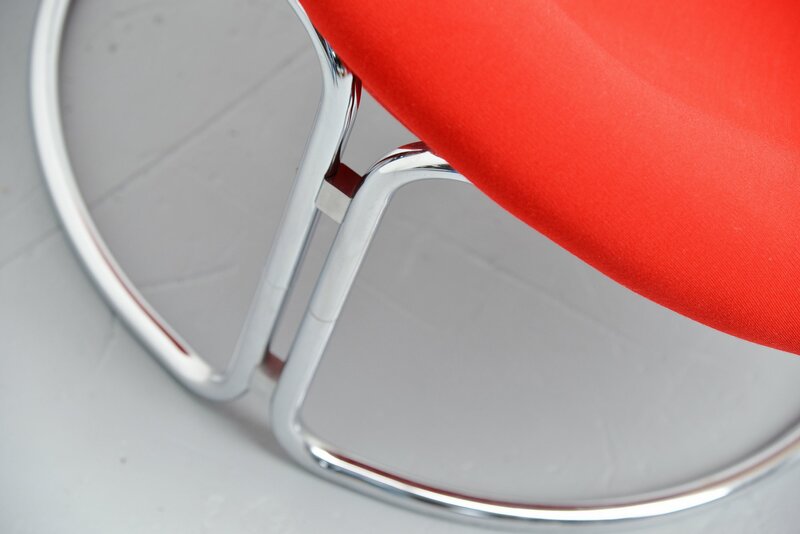 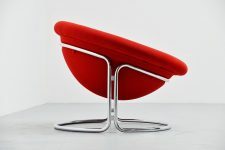 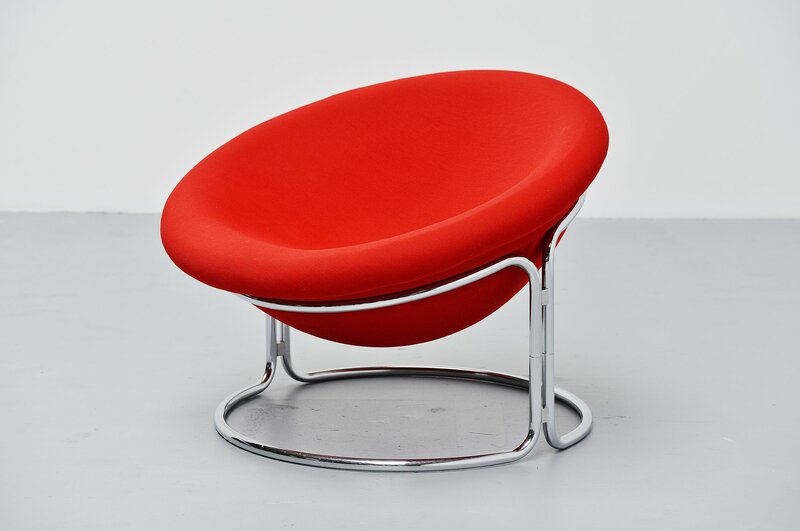 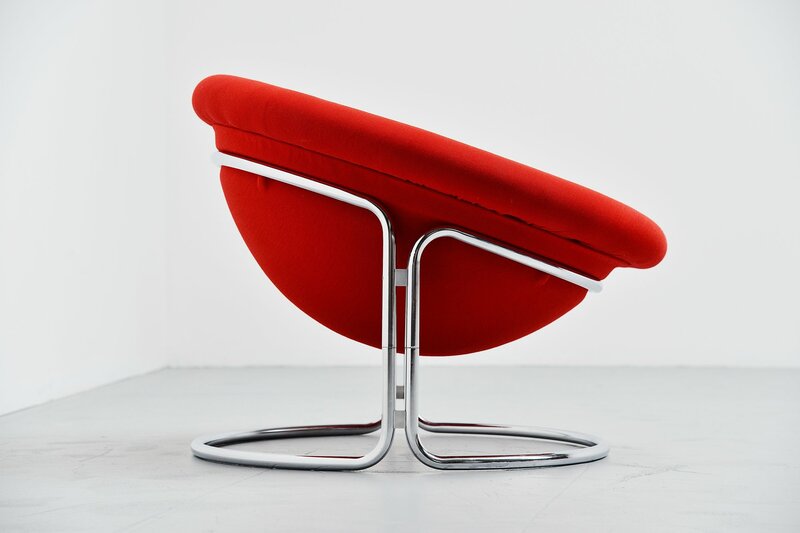 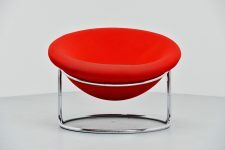 This chair has a chrome plated tubular metal frame and newly upholstered red seat. 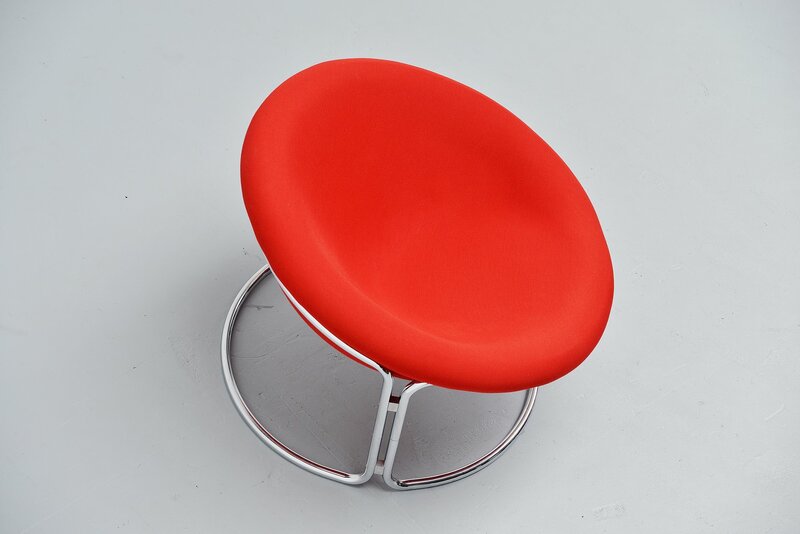 Because of the round shape this chair seats very comfortable.